Canadian country artist Arlene Quinn has been having a fantastic year so far. With the release of her single “Jackpot” we had the chance to chat with her about her latest single and life in general. 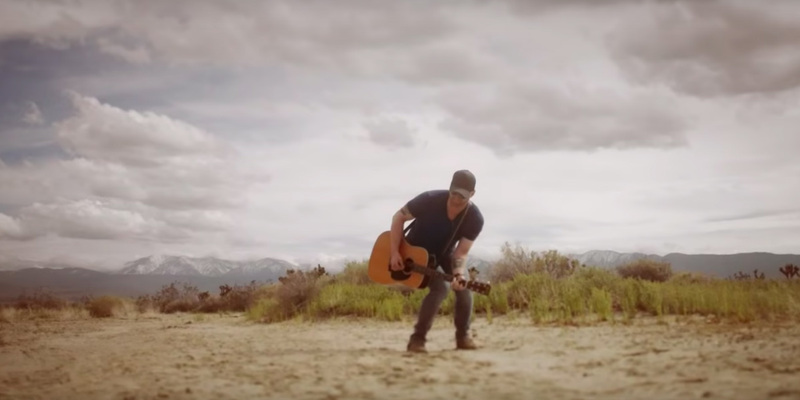 Canadian country artist Tim Hicks has released a music video for his fantastic single “What A Song Should Do” and it’s 100% what a music video should do! It’s the perfect compliment to the song. On January 11th, 2019, Canadian country artist Kira Isabella gave us what we’ve been waiting for since Side A was released- and that’s Side B. The Hunter Brothers kicked off Paul Brandt’s The Journey 2019 Tour in Edmonton on February 2, 2019. On Thursday January 24, 2019, I had the pleasure of attending “New Hot Nashville” presented by Universal Music Canada. Sons of Daughters released “Ain’t Gonna Be Lonely Long” in late 2018. The duo, native to Vancouver came across a new country hits playlist, and of course, through my headphones recently. 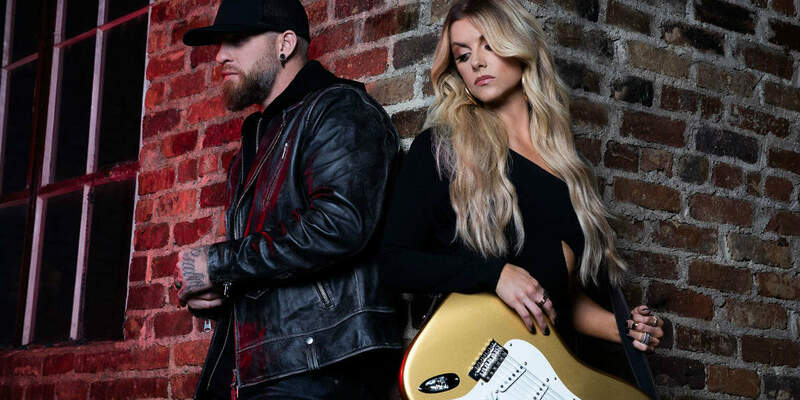 Brantley Gilbert and Lindsay Ell are the duo we didn’t know we needed, and have been absolutely blown away by. “What Happens in a Small Town” is one of Ell’s latest features, and Gilbert’s latest single. It’s the most wonderful time of the year….as if the holiday season weren’t enough Dallas Smith released his latest single, “Rhinestone World“. Canadian country artist Chad Brownlee has been teasing new music on social media for days. Well, it’s finally been released! His latest single “Forever’s Gotta Start Somewhere” is a great song for the New Year. It’s catchy, and has a cute message. 2018 has been a very exciting year for Canadian country music! We saw some amazing new artists come into the scene, some great music from our favourites, and even smashed some records! Kira Isabella is back with her latest EP, Side A released November 23rd, 2018. Her latest cut is edgy, redefining, and definitely a new angle for Kira. The new Canadian country band East Adelaide have released their first single “You Don’t Get To Love Me” to radio and streaming services. This single is the perfect mix between country and rock, and features a melody that will be sure to stick in your head. This past September, The Cadillac Three wrapped up their Canadian Vacation Tour with a final show at the Algonquin Commons Theatre in Ottawa, and while it may have been their last stop, Ottawa country fans made sure they went out with a bang! Country music fan, baker, and creator of great cakes from Ottawa, Ontario. Canadian country music artist Dustin Bird has released his latest single “She Likes My Guitar” to country radio. We got a chance to chat with Dustin about his new single, and it was an absolute treat! Canadian country band Nice Horse are a group of four fantastic musicians based out of Alberta, and are quickly spreading their music across the Great White North. On Saturday November 10th, 2018, we had the opportunity to catch Dean Brody in Guelph, ON for his Dirt Road Stories Acoustic tour. Dean Brody is praised, not only for his ability as a vocalist and musician, but as a storyteller; and a vivid one at that. “You Belong” is Shawn Austin’s latest single, from his self-titled EP released in late September, 2018. JUNO Award winning trio The East Pointers have had an incredibly busy year – and it looks like 2019 is shaping up to be just as wild. If you haven’t heard their latest album What We Leave Behind, then you need to stream it right now and listen to it while you read this interview. It’s so good! Eric Ethridge has put his own twist on the 2001 song “California” and we are obsessed. The Juno-nominated track, originally by the Canadian pop/R&B band, Wave has made its return- this time featured on country radio, thanks to Eric Ethridge. Aaron Goodvin’s latest single “You Are” has our ears fluttering and our toes tapping. Keith Urban has a reputation for being a dynamic performer, and his concert at Rogers Place in Edmonton on September 22 didn’t disappoint! Canadian country artist Jade Eagleson has had a busy year! Earlier this year, his debut single “Got Your Name On It” was released to country radio and has hit the country by storm! 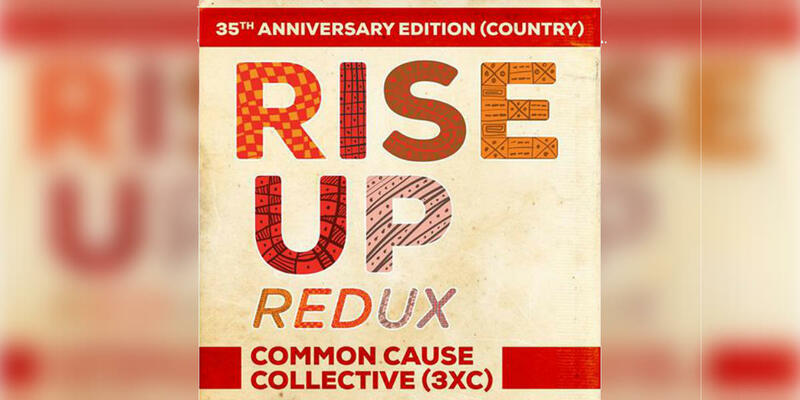 During the 2018 CCMA Awards, it was revealed that over 20 Canadian country artists joined together to form the Common Cause Collective (3XC) and released a cover of the 80s hit “Rise Up” by Parachute. The CCMA Awards were this past weekend on Sunday September 9, 2018, and they were electric! The evening started out with a bang with a tribute to Shania Twain performed by Jess Moskaluke, Kira Isabella, and Madeline Merlo – 3 of Canada’s top young female country artists. Earlier this Summer, we got the chance to sit down with Canadian country artist Brad James at the 2018 Boots & Hearts Music Festival. Our own Scott Edwards talked to Brad about his experience performing at the festival and his new music. On August 24th, 2018, JUNO Award nominee, Don Amero released his latest album called “Evolution”. His previous albums all had singles that tiptoed along the country music genre, but this album is a full country music experience. Emerging country artist Brett Westgrove has released a music video for his latest single “On My Way To You”. This song is a total earworm and will easily get stuck in your head – it’s sure to turn some heads and get him further exposure. On Friday July 27th, 2018, country legend Reba McEntire (do we still need to use her last name?) performed at Casino Rama in Rama Ontario, north of Toronto. This show showcased Reba’s greatest hits and told stories of how some of the songs came to light. 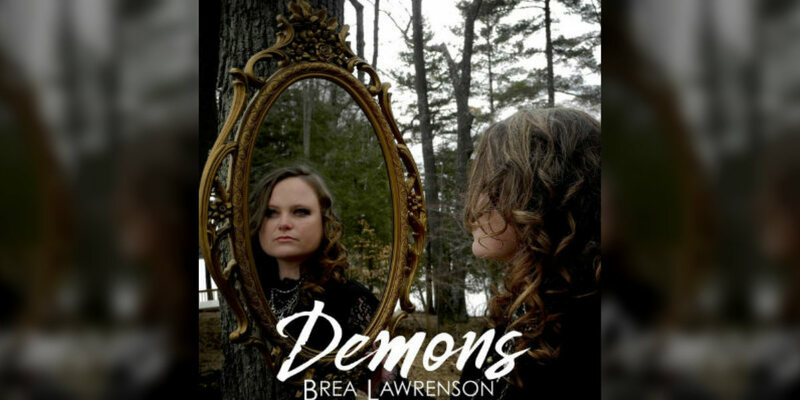 Country artist from the Ottawa Valley, Brea Lawrenson, has released a brand new album called “Demons”. This album features 12 tracks. Some of the tracks are previously released singles, but most are brand new! We have yet another emerging Canadian country artist to introduce you to! Michael Daniels enters the scene with his debut single “Betting on Red”, and it’s such a chill track. Ever since MTV played the first music video back in 1981, music videos have provided a visual interpretation of our favourite songs and artists. Music videos have sure come a long way since that first video by The Buggles “Video Killed The Radio Star”. Emerging artist Chase Miller has released a new Summer tune called “Redneck Weekend” that’s sure to set the mood for a great patio or backyard BBQ. As with a lot of art, the general opinion of Canadian music is often less than complimentary. Canadian country music is no exception. Artists are sadly not considered to have “made it” until they have seen success in the American market. Sugarland has FINALLY released their music video for their hit single “Babe” featuring Taylor Swift. Babe is the second single off their latest album Bigger, and it couldn’t be better! Lennon Daniels is one of the most promising newcomers to the Canadian country music scene. He has recently released his debut single “Break Free” to country radio. “Get Me There” is the latest single released by Shawn Austin. This is probably the most anticipated single from this Canadian country artist yet. It’s a really great song that was well worth the hype. After much teasing on social media, Jess Moskaluke has released a new single to country radio called “Camouflage”. This song is a haunting and totally relatable breakup song. Albertan Brad Sims has released his new single “Long Good Night” to Canadian country radio. It’s a song that we can all relate to in one way or another. Stop everything! We have found your new Summer jam. Madeline Merlo has just released a new single called “Neon Love” and it is pure gold! After taking a bit of time off from the public spotlight to focus on his family and to recharge, Tebey is back with a brand new EP Love a Girl. This 6 track EP was released through Road Angel Entertainment and Warner Music Canada. Canadian country artist Brea Lawrenson has released some fresh new music! Her new single is called “Demons” and addresses some confidence struggles that many people face. Have you heard the latest from the River Town Saints? They just released a new single called “You Get To Me” and also released a new music video. This is by far their strongest single yet. Huge collaboration announcement! Dallas Smith has joined up with Canadian country music royalty, and good friend, Terri Clark to create some killer music. This new single is called One Drink Ago. The JUNO Awards are this weekend, making this the biggest annual event in Canadian Music. These awards do a great job at promoting great Canadian talent, and helping to launch the careers of so many artists. But where’s the country music representation at the JUNOs? Brett Kissel has a new song and it’s so exciting to be able to talk about it! The song is called “Anthem” and is his second single from his third studio album We Were That Song with Warner Music Canada. On January 19th, 2018 Gord Bamford released his latest album titled Neon Smoke. This album features 15 brand new singles and features artists such as Jim Cuddy and Tracy Lawrence. On January 12th, Meghan Patrick’s much anticipated new album Country Music Made Me Do It was released. This album features 12 tracks, and is truly a piece of art. Each track has legs to stand alone, and when played together is a powerhouse! What the random collaboration is going on here? On January 12th, 2018, Carrie Underwood released a new single called The Champion that features rapper Ludacris. This track is being used as the opening song for this year’s Super Bowl, and the music video will debut on Feb 4th during the big game. Want to be featured on the Front Porch?